Celebrate life’s special moments or make any moment special with a DQ Cake! 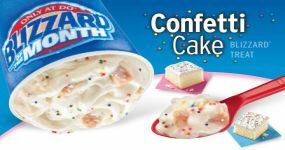 Enjoy our variety of DQ Cakes with friends and family to celebrate Father’s Day, Mother’s Day, Birthday party, anniversary, graduation, holidays and more. 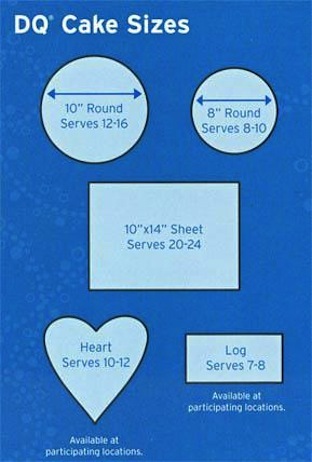 We carry a variety of Blizzard cakes, round cakes or sheet cakes serving from a small party of 8 to a large gathering of 24. 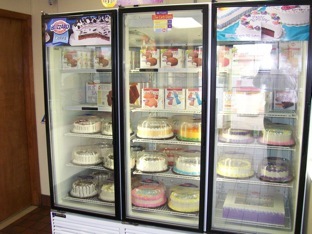 You can also stop by your local DQ Restaurant and pick out a ready to go cake from their display freezers.